Review By Dr Lakshmi de Silva. 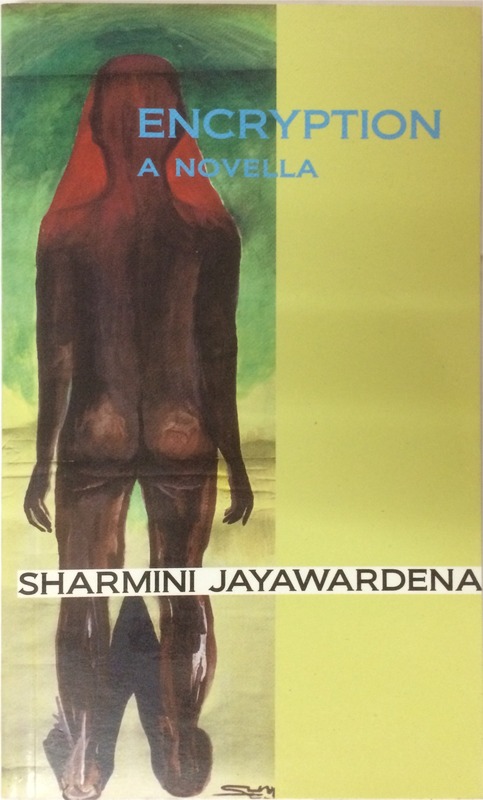 Encryption A Novella by Sharmini Jayawardena. Self published in Malaysia. 2012 ISBN 978-967-11427-0-7. Immediacy is the name of the game: sight, sound, smell hit the senses, keeping the reader involved and curious, caught in “what’s nextism”. Encryption has none of the remoteness of parable, though much of its richness. A needless warming, surely: if the 21st Century has forgotten James Joyce’s fertile fracturing of language, where as when a prism breaks light into vibrant colours the intentionally confusing word-play opens up a multiplicity of options of thought and sense, activating and vitalizing the mind, as Midnight’s Children reminded us. 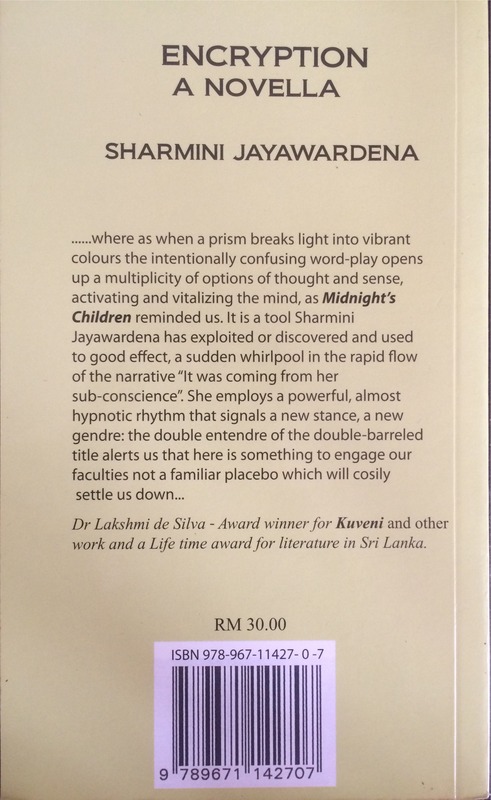 It is a tool Sharmini Jayawardena has exploited or discovered and used to good effect, a sudden whirlpool in the rapid flow of the narrative “It was coming from her sub-conscience”. 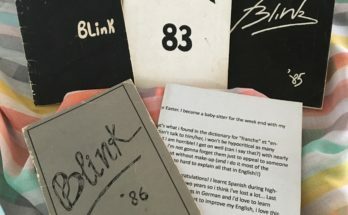 She employs a powerful, almost hypnotic rhythm that signals a new stance, a new gendre: the double entendre of the double-barreled title alerts us that there is something to engage our faculties not a familiar placebo which will cosily settle us down. The dramatist personae, major actors or walk-one like the leper-felon or the monk who subsists on alms doled out into a skull-bowl, moving in a setting of pervasive security measures and continual war, are vivid and memorable. There is a dark Gothic streak that adds disturbing force to the course of narrative. “So, in effect she realized technology merging with reality even as we spoke or (more like) as we sang. It seemed like some force was desperately trying to reach out and make contact with her, almost or with the rest of humanity “. “Him coming into her life as if from nowhere was like the first whiff of zest when you open up a fresh, juicy orange”. The contact between Ruwedha, the Muslim woman writer of “stories that explored the female condition” and the protagonist is redemptive, as is her reliance on “two women unlike each other. One was the male image of the other. An artist – a painter and a musician…impending poverty…put them together in a conundrum of sharing house. They were both seemingly helpful to each other and to those around them and that’s as far as it went…” Many, including the narrator are drawn to the nurturing ambience of their home, a nexus for nature, creative art and domesticity: a sense of tradition breathes from such crafts as batik and nourishing cookery from old recipes.” This place was somehow eye candy and ear candy for the deserted souls who occasionally found their way to stay awhile and bask in these gifts that were sent from nowhere or somewhere… This place had that earth feel to it”. More ambiguous and complex is the relationship between the protagonist and her chronologically foregoing, seemingly fictional doppelgänger, Amarani Blok. 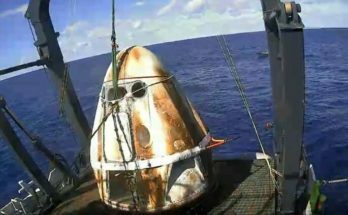 The beautiful but unfortunate woman has lived and endured suffering for a space of time that justifies her name – Amarani – immortal, undying, a plausible enough name in the context of Sri Lanka as is the equally significant Blok. She wonders in a desolate landscape of frequent massacres, displaced people, organized crime and sexploitation, but not without progress. It is a journey into a maelstrom, yet unclogged by bleakness and vigorous and surging with the response of the senses and the spirit that leaves the reader invigorated, as at the close of a rewarding pilgrimage.